Bennett Awards created a unique custom award that was presented to Siegfried Fischbacher of the entertainment duo known as Siegfried & Roy. He received the custom award as the recipient of the Keep Memory Alive Caregiver Award. This award recognizes individuals who have gone above and beyond to care for those who are unable to care for themselves. 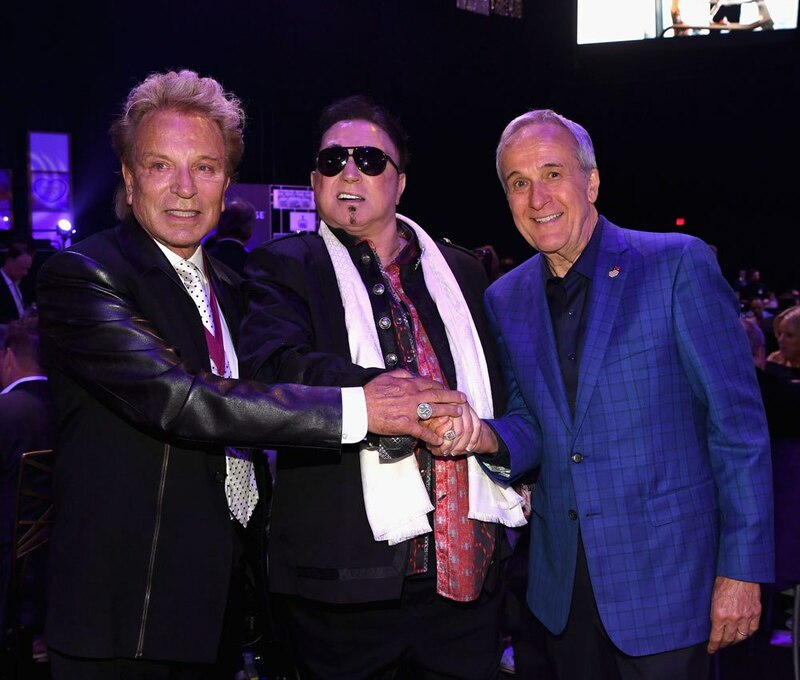 Fischbacher received the award in recognition for his commitment of caring for his longtime partner and Friend, Roy Horn, the other half of the Siegfried & Roy duo. 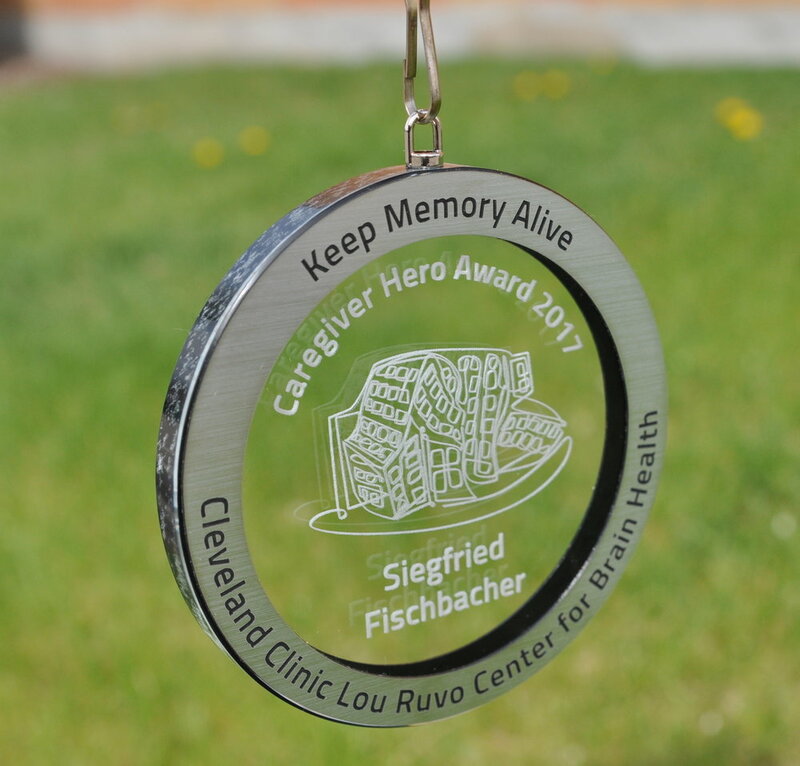 Fischbacher received this award at the Keep Memory Alive’s 21st Annual Power of Love® Gala, which is held annually to raise awareness and funds for the Cleveland Clinic Lou Ruvo Center for Brain Health. The clinic provides care for patients with Alzheimer’s disease, Parkinson’s disease, multiple sclerosis, dementia and Huntington’s disease. Other recognition award recipients at the event included Andre Agassi and Ron Perlman, who were both honored for their ongoing philanthropy. The gala event was held at the MGM Grand Las Vegas. For this custom award, Bennett Awards designed a unique custom medallion. The main surface of the medallion sculpture was glass etched with the award name, award logo, and recipient name. The outer edge of the medallion was surrounded on both sides by a silver laminate ring with customized engravings of the conference name and beneficiary. The custom medallion was large, with a 4” diameter.